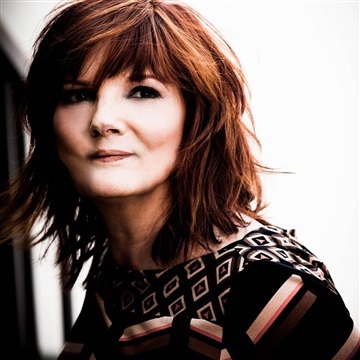 Based in California, Eileen Carey is an award-winning pop-country singer-songwriter. Her music stands at the intersection of pleasant melodies and explorations of self empowerment and emotional fulfillment, all enveloped in upbeat country influences with pop arrangements. Born and raised in the outskirts of Cleveland, Ohio, Carey was surrounded by music when growing up, having become an accomplished drummer by the age of 13. After a few years of learning music, she decided to expand her artistry by moving to California in the late 80s to study acting, film and theater. This led her into a brief acting stint, landing roles in major films such as Hoffa , Basic Instinct and Tim Burton’s Batman , along with advertising campaigns such as her role in one of Ray Charles’ Diet Pepsi commercials. Since then, the artist has delved deeper into music, releasing four studio albums, including her latest release Let It Go . The album features songs which explore themes of letting go the ties that bind us to the past. This is best depicted in the uptempo title track about forgetting the small mishaps from our past that lead to insecurities and indecisions. The album also includes the single “In the Air” a romantic pop country ballad, as well as “Good Bad Girl” a country rock song about appreciating and asserting one’s multifaceted complexities. These singles have topped all the New Music Weekly’s Country Radio Charts. Along with strong original songs, there are a handful of reimagined and modernized covers of iconic songs from the 80s, such as “Only The Lonely” by the The Motels, “Walking On Sunshine” by Katrina and the Waves, “Don’t Get Me Wrong” by The Pretenders. Each song showcases a different side to the theme of Let It Go and adds a different layer of personality to the album. Some of her many accolades include the Los Angeles Music Awards Live Country Music Performer of 2017 and Female Country Artist of 2016, as well as New Music Weekly’s 2016 Country Breakthrough Artist of the Year. She was also awarded the National Radio Hits’ Favorite Female Country Artist of the Year for 2017 and the Independent Radio Networks Crossover Artist of 2016. Moreover, in addition to her devotion to music, the songstress takes part in many different projects, from being an avid kickboxer, to her involvement in animal welfare through FixNation, and finally by providing parenting resources on her blog themusicmom.com. 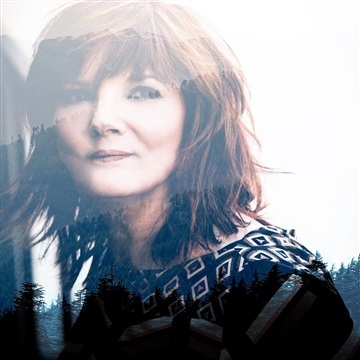 “I just try to give people a different way of thinking, a different outlet,” says Eileen Carey, as she strives to keep making music that offers support and encouragement to others.